LIFESTYLE::SHOPPING::FOOD::CURRENT EVENTS Casual blog by a Penangite about lifestyle, shopping, food, and current events. Also, check out what sort of diet an average asian goes through being a stay home mum living overseas. It's been years! Of course I still own this blog! Bogged by work and bringing up the girls I hardly have time anymore! But hopefully try to find some time. This blog is precious. One that marks certain milestone for my children and I and a place of fond memories that you can carry with you till much much older. Well, unless someone decides to close blogspot or change it to something else. Before I wait another few years to write I wish everyone a wonderful day, week, month and year ahead! Huat! Wow, I didn't realize that I hadn't written on this blog for ages! And I had forgotten that I had activated the spam comment thingy and thought that no one came to my blog anymore..lol For those of you who did drop by, thank you.. I had been so busy with work and other matters that I stopped writing on this blog for quite a while and saw comments to be moderated still left in the folder... so sorry, my dear readers, I have neglected you. I hope you all have had a good year. I hope the Rabbit Year brings everyone prosperity, health, wealth and whatever you have wished for. Life has been hard for us, frankly. With work, inflation and other things, now bread and butter issues at home comes first. Petrol and electricity have gone up, therefore, food prices have increased. I hope situation gets better. But I count my blessings everyday and now I also focus more on prayers and faith instead of giving up after some terrible things that had happened in the past two years. We live for the current, not so much far ahead. Today, we feel blessed and we pray for a safe tomorrow. Life is very precious. I pray for my family, my relatives, my friends, aquaintances I know around us, the poor man on the street and now I pray for the safety for the people of Japan and around the world. I feel for the victims of recent earthquakes in NZ, China, Japan and all other parts of the world. Did you know that a good deed a day is a perfect complement to your daily happiness? Buy someone a cup of coffee or even offer to pay for someone her food/drink. It doesn't have to be something expensive, but this brings not only a smile to that someone, but to yourself too. Try it. My dear best friend told me that never give up hope, because you will be heard. Whatever your faith is, pray because results may not come in the way you expected but, in other ways that you will feel blessed with. Happiness is not about money wealth but what we feel in our heart. Don't you wish you had money that grow over the years? Well, you would if you had invested in Gold. I realize that Gold prices had been escalating so much, especially in the last decade. To check if it's true, bring your gold jewellery to any gold valuer or store that you had bought from, maybe in the last 10 years and you will realize that the valuation for your simple piece of gold is not the same low price you bought since. Of course it had increased in value! And so, if you think that you are not comfortable with keeping your precious gold pieces, you can always consider secure safekeeping such as IRA gold accounts. Depositary custodians not only provide safe storages of gold but also other precious metals as well. Unpredictable issues like war, inflation, increasing oil and gas prices all have contributed to increased gold prices. In the recent years, gold IRA accounts have grown as prices of gold increases while stocks and other paper investments weaken. Even holders of 401k gold have opted to do a gold IRA transfer as part of their plans to supplement their retirement funds in the future. Gold is an asset that cannot be devalued and had survived through so many historical milestones. You will need to establish your Gold IRA in some easy steps of course. If you have, your existing gold 401k can also be rolled over and established into Gold IRAs and you also get statements and notification whenever gold moves up in certain percentages. Forget all that adrenalin rush of the stock and share market. Gold is a stable investment and sees no heartaches. I can't help but decided to post this bad experience today. It shows the bad and ugly side of Singaporeans who put their 'kiasuim' into professional practise, and got me terribly mad. Off work for a few hours, I decided to bring my girls to catch Sesame Street Live on Stage at BPP since it is the school holidays. Although we were there a good half hour early before the show started, the place was already packed and my kids wasn't able to get into the designated area for kids. For all kids who couldn't get in, we make do with standing around the gated area. Frankly, I think the organisers didn't do a good job because the kids that sat in the designated area had parents in there as well. They should have just allowed kids only.. but many parents, maids and other adults were sitting that area.. taking up so much space, depriving kids of the chance to catch this event. sigh. That was why many other kids can't even get in. 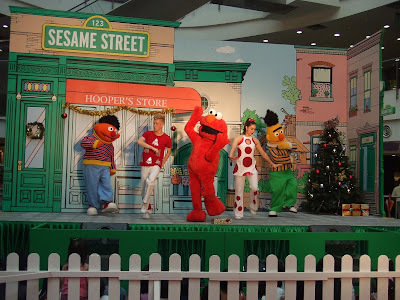 I remember some of the mascot live shows at United Square only allowed kids, no adults since these shows are meant for kids. Kids who are with parents should be allocated behind. Parents should be allowed at the sides so as not to block the view of children. And OH YES, Video-Cams should not be allowed. Especially on TRIPODS! So, off we were trying to find a good spot so that kids get a good view when the show starts. 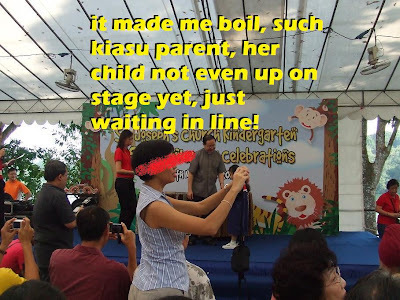 However it was a daunting task because there were TOO MANY KIASU PARENTS who stood around the gated area, thus preventing and blocking kids from this show! 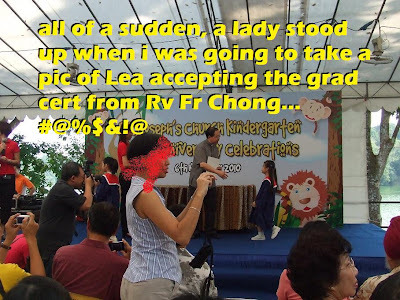 One very good example of such ugly Singaporean Parents... look at the pic below! 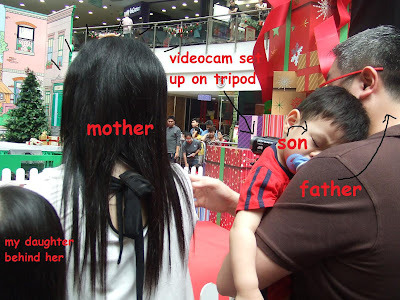 See, before we were there, the father had already 'parked' his video cam on a tripod smacked right in the centre-front. He was there to record the full show and had been fidgetting with the video cam. The mother carried the child who had been crying and kept whining as well. He looked exhausted and slept before the show started. It seemed to me that it was not the child but the parents who WANTS to watch this show! The father kept telling the son that he is recording the show for him and that he should not cry and he kept prodding his son to wake up! The mother and father took the best part of the front and blocked all kids who wanted to watch as they are both not very short nor very slim. 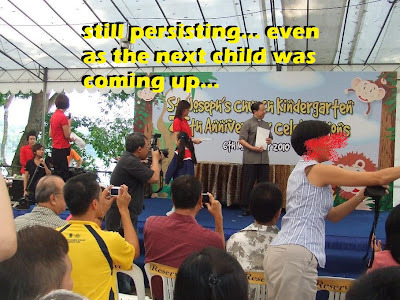 The father appeared irritated and kept making tsk tsk-ing sounds whenever a child tried to sneak in between him and his wife to catch the show. He even scolded one child and said it is so cramp and squeezy already so please don't come in here. He made hand gestures like he couldn't understand why kids must come around to catch sneaks of the show near both of them. When the show started, the kids all got excited but he made sure he and his wife covered their space broadly and well and that the area around him and his tripod is cleared of anyone. He even suggested to his wife to move to the right a little (prevent more kids coming in), being so inconsiderate and that blocked my daughter immediately as my girl was watching from behind between them both. How selfish of this person! Why take a video cam when you are here to enjoy the show. Why block the kids who are there to watch an event meant for kids. If you wanted to record the show, might as well just buy a Sesame Street DVD for your child that comes with pure professional video capture and excellent audio system. Such a cheapskate parent! Such shameful parents. So kiasu. So selfish, self centred. Facebook or Blog, Which Do You Like Better? Everyone is on facebook nowadays. 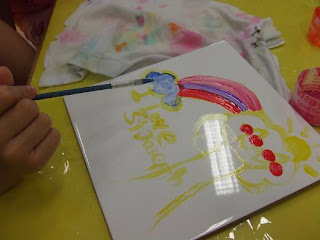 We seldom blog about ourselves and the activities as much as before. For myself, i'm bogged down with work most part of the day. Many of my blogger friends I know are either busy with work or they are just perpetually on facebook most of the time. When they are not online surfing and on facebook, they are on their facebook mobile. That is still socially connected via facebook. Seldom see our friends consolidate their news/personal/etc online on blog because one can just post their status and upload a pic right after that to share. But, do you prefer to share them on facebook or on your blog? Blogs are journal/diary-like and they are kept and categorized in separate dates for diff events. But facebook is different. You post your 'event/activity/news' and get comments immediately. It is great to have facebook, when you can see your friends' comments when you share. But, somehow, I like blogs because I can have my 'journal' and pics for that memorable sake. What about you. Do you own both a blog and facebook too. I know blogs can be a bit time consuming but it certainly has it's benefits. Does anyone know if facebook's history are kept for how long? The Graduation ceremony was celebrated at the zoo, in conjunction with a family day theme. After all, once you are at the zoo, what best not to do except to take the rest of the day off at the zoo. The kids were excited because they had decided to go to the kids playground for some water play later on. Of course, that will give me a chance to unwind outdoor amidst mother nature's greenery and the lovely sounds of animals. To every other parent, a graduation for their child is a big day and many of us were armed with cameras, video cams, mobile phones with cameras, iphones, all taking what they could of their pride and joy. My youngest, her first graduation from Kindy, I just had to mark the occasion with a very good photo.. well that is until.... look at my pics and you will know what happened! There you are, a day spoiled because the mom does not have a very good photo at all. I hope the camera man has a good photo of my daughter, if he did take it. I was terribly disappointed, I just wanted to shout at the lady in front when she was standing up but I kept my cool and hoped she sat down quickly but... she didn't. October month is always stressful. It is the exam month and everyone is mugging their books to do their revision. 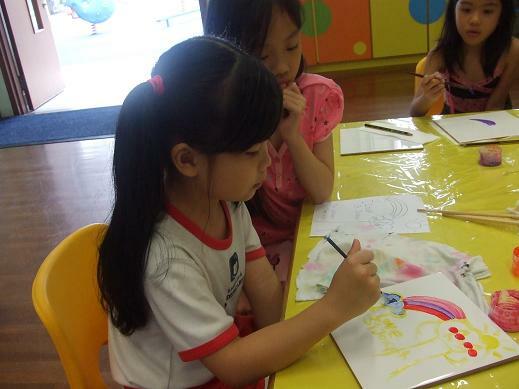 The private tutors that most parents engage are always extra busy this time because they would either add extra classes to help their students to strengthen their foundations and also give them more 'exercise' as well. My girl used to attend Maths classes in a commercial school weekly. She once told me that her tuition classes uses computors in addition to tutor based tutoring. During each October month, unlike private tutors, her Maths class done in a commercial tuition centre can't fit in additional classes prior to her exams. And the school already has a permanently fixed schedule for all the maths lessons. As much as she can solve most of her Linear equations and an avid Algebra solver in her classes, while at home on a no school day, she just prefers to sit in front of her computor going online. Private tutors may add extra classes but they, too are sometimes busy juggling so many students that one has to really inform either one to fix extra classes in a certain time, agreeable for both parties. So, it may not necessarily solve your problem. However, I have actually managed to find a good alternative to getting your kids do Maths, be it tuition or supplement classes, how you may want to call it. 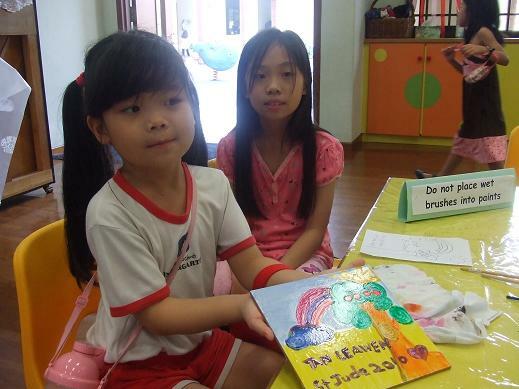 It is an online Maths program that one can actually use to supplement students knowledge in many areas of the syllabus. What is most brilliant about this program is that, it is 'ON' 24/7, in your own time and place. Online maths tutoring, Tutorvista has just what every kid might need. If your private tutor already had his or her schedules fixed and cannot fit your kid in, try this online maths tutoring program. And for parents who have also taken time off to spend time tutoring their child before the exams, one can even subscribe to it for a week. 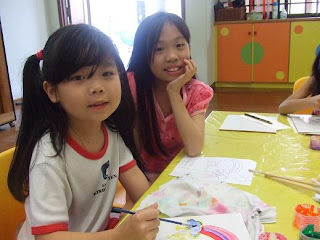 No worries if you don't know how to do it, because the Maths answer is only a click away and there are Maths problem solver examples done in video animation that assist the child to find out how to work their way to the answer. This program covers such a wide range of syllabus in Maths, be it College algebra you are facing or even a basic concepts in Algebra 1, you can find one for every child in ages from the kindy to college level. I think each parent who wants to supplement their child's Maths lessons will find this very useful. One can also connect to an online tutor instantly with a preferred tutor on the spot too. What is brilliant about such online tutoring is that you can do it in your own preferred time, without having to leave your home or location. This saves one's time, transportation and this is also excellent for those who is on a home schooling program. Simulations, assessments, any tasks are all available and you can be assured that their tutors are all graduates with degrees and they have to pass all the stringent tests for a certification to ensure that you are getting certified tutors from Tutorvista's program. They have so many things on their website, right down to a Square root calculator available you can use! Payment can be weekly, monthly and you can use the service all you want, anytime, anywhere at that one cost! Incredible! No missing out on your maths tution at all. Besides Maths, this website even has other subjects like English and Science subjects: Physices, Chemistry, just to name a few! Try it. Go for the free trial to see how wonderful it is. Anyways, since I was commenting on a friend's blog, I might as well blog a little and post some updates. A month ago, at my girl's kindy, we had the opportunity to do some tile painting in conjunction to their charity drive and also have these painted tiles adorn the walls of their school walls. What a lovely idea because it would be so nice to come back many years in future and see that you have been part of their school kindy alumni.. Here are some pictures I took. Yayy... This will adorn my kindy walls! I remember when I used to work in town, I love to window shop during my lunch break. Guess what I always looked for? Jewellery, of course..
$25,000 worth of Gold Bullions in the early 70's is worth about $524,999 today! No Joke. So if you had been around during that era where our parents believed in nothing but investment into Gold, you'd have made a tidy profit today. Gold is something that my mom taught me will always be worth more as years go by. And she is so right.. At that time, no internet but if you had done a search in recent years on IRA gold, you may be able to get some info or reports on how much gold had appreciate. 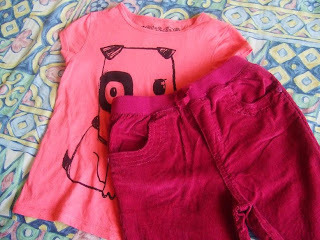 I didn't listen to her of course, spending my money on other stuff that I fancied more.. If only I'd had listen to her then. As a non invester, I didn't really understand at first what gold IRA stands for. A website about gold and how much you stand to gain made me even more curious about 401k gold. There are many websites which you can get valuable advice on gold 401k or just to find out how this is actually about or how this account works. With the fluctuating price and economy, our oil prices have gone up drastically, many people defaulting on loans, war and inflation on the rise but Gold has always been seen as something stable, going up mostly, surviving all the bad economy and negative influences. A search for gold prices got me to come across some who are doing gold IRA transfer, which is kind of like keeping your gold in a special place and reinvesting it for other purpose or just keeping watch and letting it grow. Hey there! I'm back. 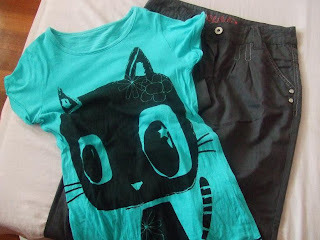 Yes, it's been such a long time since I blogged here. Well, I have some time today because of some spring cleaning at work. So, two whole days, I do not have to get back to work and I just feel wonderful. How are things. Have have you all been? I feel just so terrible that I haven't been blogging and not even find the time to stop by your blogs. Those who know me, know I've been busy and not just busy but XTRA busy. My other blog, I do update a little here and there because I need to write for some moolah. 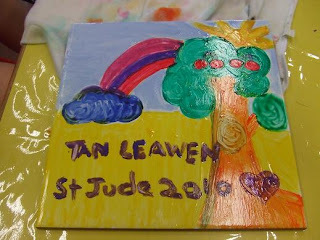 But this, being my first blog, I've neglected it and I do feel awful about it. In the past year, I set up a little stall selling food. We had a little change in our lifestyle but trying to cope. We try not to change many things so we had to work XTRA hard to keep to the same. Liabilities, we have a lot! We cut down expenses and will continue to do that. A month ago, we started another outlet but after a month, we decided to continue with the new and give up the first one. Traffic is much better in the second, better in the business sense and frankly, it doesn't stretch us both too much although we are in it for the whole day. We have more or less worked out some schedule and in the late mornings, I get to come home and take a rest before going in to work again in the afternoon, which Ah Boy will then come home to rest. School starts today and the kids are back to school. Guess traffic jams are back but I've been home resting and catching up on sleep so I won't know. I got to do some really quick bakes! Just had to feed my need for baking. 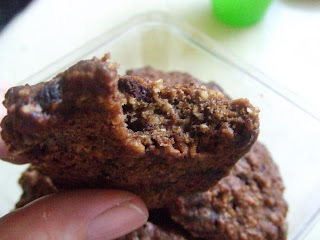 There were times when I even bought some premix ones but they really cannot be compared with our own bakes. The sugar content in most of them are just too high and I can't control them.. 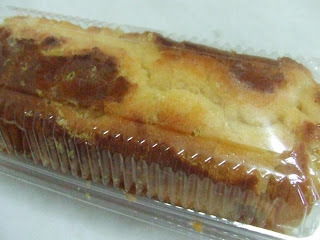 So I got back to baking simple butter cakes and chocoloate ones that takes just an hour plus. Nope, the shopping belt and wallet is tied/clipped really tight! I was a little concern about this but guess what, it wasn't really that bad. We had blessings in other ways, and kind words and support from friends. These are the richness we felt in the past year alone. 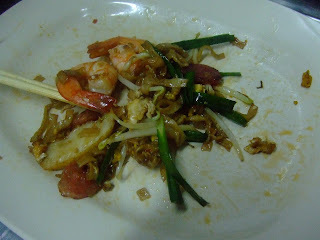 I ate a lot of Char Kway Teows, Hokkien Mee and Lor Mee.. I had to. Each plate is eaten for the sake of quality, taste, texture, freshness and etc. Food test is important to ensure standard quality all the time. In the past year, I've made some new friends and made some new best friends. Friends who have been a great support in this troubled one year and stood by me. I also met many many school friends whom I've lost contact since secondary school days. I didn't get to go to my school gathering but got to meet them because they came to Sg! And in the past year alone, I met up friends like FB Evily, Bloggers Ang Ku Kueh, Kikey, Sharon, Ah Leng and newer bloggers who came by to garner support. Evily, thanks for dropping by and your wonderful support. I missed harvesting on FT. Wish you the best in everything. Ang Ku Kueh.. hey, i was expecting to see you 'without' hair..lol but you look very good with them. You are friendly and warm, very natural. Kikey, you're the brave girl who travels halfway around the world, your blog is just as honest and frank as you. Sharon, I think you're such a nice and friendly person too. How can I miss such a person in Sg, glad to know you. Ah Leng, you're the one who inspired me to blog, blog, and blog... hahahah and learn how to make money online. If not for you, I'd be scratching my head about 'domain', godaddy, c-panel and all that weird lingo! Of course I also won't forget how excited I was when you had sooooo many ops in that single day till I had to call you up in Penang! WOW Just don't forget about my $50 ops, ya. CRAZY days, they were. Thanks to you and your support all these years! I received some nice stuff from Sue. She has been so sweet, bought and sent them all the way from Manchestor. 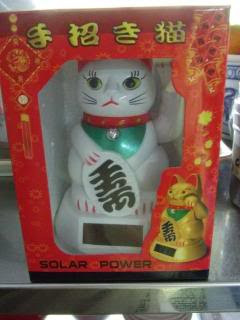 Leng also had been visiting me and he also got me a lucky cat, the beckoning cat when he knew I started biz.. Still beckoning away, Leng!. I've also relocated the lucky cat to my new shop, won't get left behind at all. 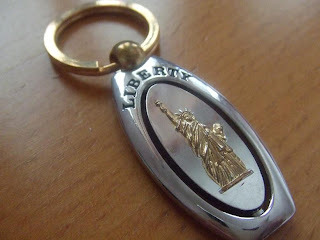 Kikey gave me a Statue of Liberty keyring while she was on her holiday back home and visited me in Sg at the old shop and Sharon, she has been baking lots of cakes and cookies for me! Aren't I lucky to have you all as friends? So, blogging has also brought me so much 'wealth' from you all. Hope to get more time to blog again, I really can't wait for the end of the Chinese Lunar Year of the Tiger and for the next to come. Hopefully I get more 'luck'. What a nice welcome home after work! I came back this afternoon to find my girls laying out bedroom slippers (and theirs too!) on a fluffy mat. It was kinda funny though. I told them few days away that I had no time to do much cleaning and I hope they will help out around the house a bit. I got several big carton boxes and placed them downstairs and one upstairs. Those stuff there were lying around that didn't belonged were dropped into the carton box for them to find it's proper 'home'. I came back and found many things being put away, much to my delight. That meant I will slowly be able to clear all table tops, cupboard tops, strayed items, toys, bags and whatever I find is unsightly or cluttered around home. But the bedroom slippers were the one thing that touched my heartstrings! Here, I even took a little picture of it for rememberance! Guess which slipper is mine? LOL! 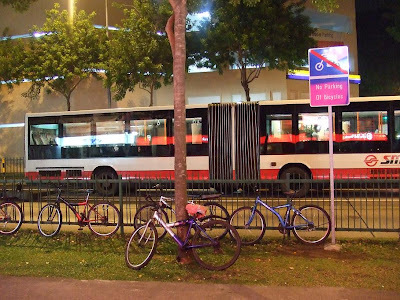 Singapore - Follow The Law? Errrr Perhaps Not!! Follow The Law Singapore Signs.. It says, No Parking Of Bicycles.. I saw this uncompromising situation recently one evening when I went out to get my favourite Beancurd dessert. 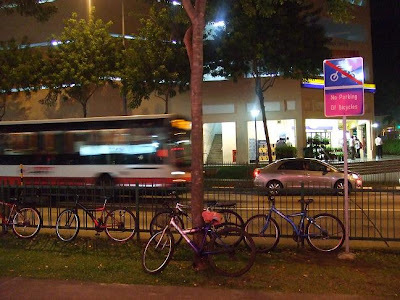 I just couldn't help but take a picture of this signage and all the bicycles parked just below the signage. Just when Singaporeans are just so 'well-known' for following orders set by the higher authorities, this scene is just too contradicting. Perhaps they don't belong to the local people? Maybe the bike owners can't read English? Get the Fad About Food widget and many other great free widgets at Widgetbox!